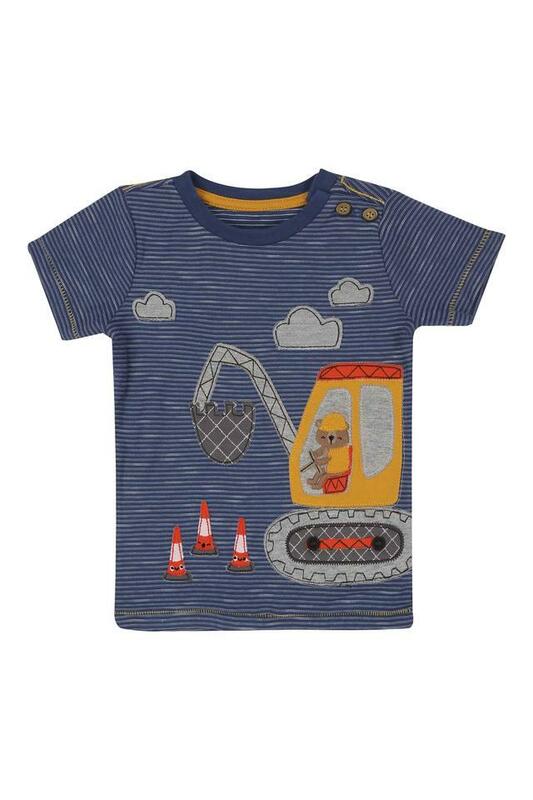 Mothercare presents this tee, which will be a great addition to the clothing collection of your little boy. It features a round neck along with short sleeves which render it trendy, while the use of a good quality fabric ensures utmost comfort. 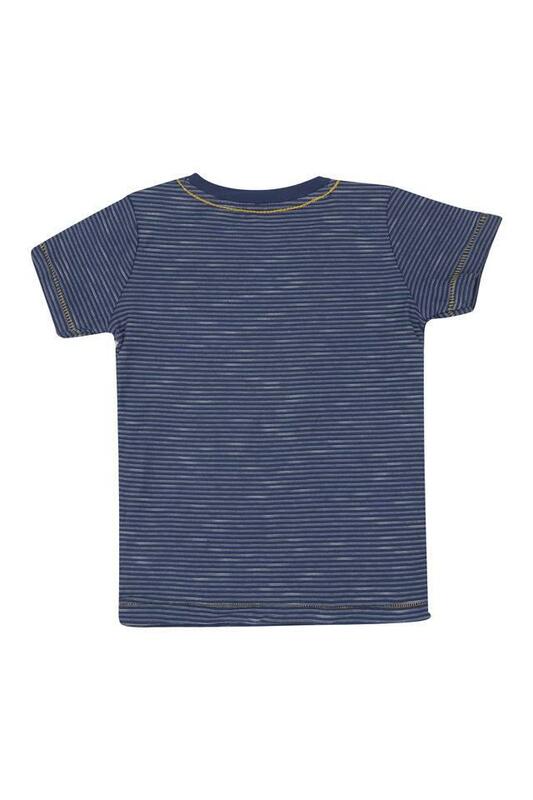 It also features a stripe pattern along with an applique detailing that adds to its look. Help your child to look smart by making him wear this tee, which features a stripe pattern. Tailored with care using fine quality fabric, it will make your kid feel comfortable all through the day.